Troy-Bilt lawn and garden equipment features innovative and forward-thinking designs that are popular among homeowners. The walk-behind lawn mowers produces by the company, such as model 556, are reliable, durable and easy to use. Maintenance is an important part of mower ownership, and routine oil changes are critical to the life of your mower. You can successfully change the oil in your 556 model mowers in less than an hour. Position your Troy-Bilt mower on a flat surface such as a driveway, walkway or section of yard. Turn your mower on its side so that the air filter and carburetor are not facing down. Position so it is stable. 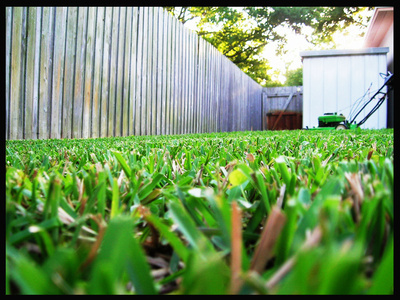 Place a piece of cardboard or old carpet on the ground if desired, to prevent scratching your mower. Place the oil drain pan directly beneath the oil fill tube. Remove the oil fill cap, and tilt your mower so the oil begins to drain out. Continue draining the oil until it slows to a drip. Turn your mower back on all four wheels. Remove the oil drain pan from the area, sealing it if possible to prevent spilling. Add 20 oz. of small engine oil to the engine by pouring it into the fill tube. Avoid spilling oil on the engine and mower deck if possible. Place the cap on the oil fill tube, and use a rag to wipe any spilled oil from the engine or deck. Turning your mower on its side prevents gas from flowing out of the carburetor and through the air filter. Allowing this to happen can cause damage. Take used motor oil to a local collection site. Some auto parts stores are drop-off sites for used motor oil.